Good evening everybody, welcome to colorful and beautiful world of crochet. Today we are going to try and create it rather more entertaining and pleasant. The cozy colossal blanket is exactly what you are looking for. 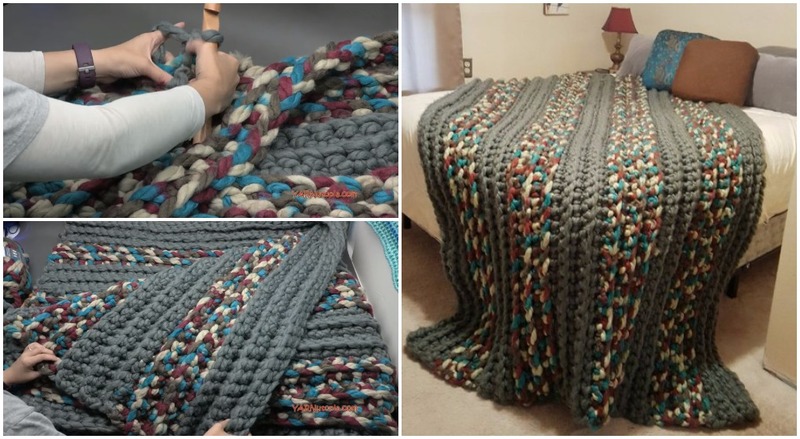 I’m glad to share with you this gorgeous cozy blanket with it’s easy tutorials to make this stunning creation. This blanket is extremely heavy about 10-12 pounds, maybe a bit more! This is a very trendy and popular piece that you find in high end home decor. So, let’s get down to the business and start crochet today to get a big pleasure. We wish all the best to each and every crochet lover, enjoy with us!